Bellevue, NE, April 13, 2019 - Green Bellevue announced Board Member, Nancy Scott has been name Friend of the Environment by Earth Day Omaha. Nancy has been a lifelong active environmental worker. 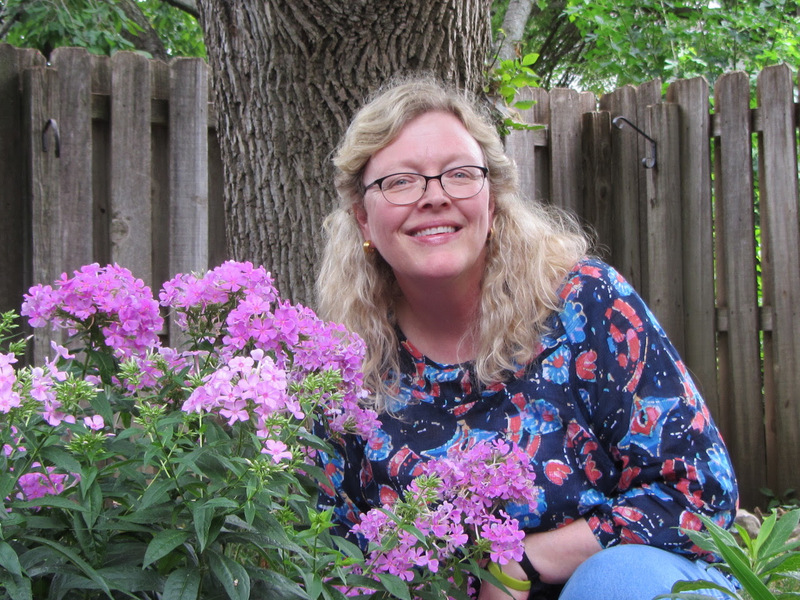 She is a Horticulturist, Nebraska Certified Nurseryman, certified Master Gardener & Naturalist. Her property which grows a very impressive variety of plant life, was the first in Nebraska to be certified as a Wildlife Habitat by the National Wildlife Federation. Nancy has served on the Green Bellevue board for six years, she provides frequent education and she is also active with the Bellevue Tree Board. In 2016, Nancy became involved in a national effort started by Save Our Monarchs Foundation, Fish & Wildlife Services and other entities to lead our Nebraska state efforts for monarch and pollinator planning program, which was named Nebraska Monarch and Pollinator Initiative. NeMPI. In addition to strategic planning meetings and actions, Nancy has made presentations at schools, Senior Centers, and other community groups to educate about the “plight” of the declining numbers of Monarch butterflies and actions to take to turn this around. She collects seed from milk (weed) plants, dries them, pots them, and gives away seedlings for free each week at the Bellevue Farmers Market and other places. Nancy also organizes work parties for students, seniors, churches, and others interested in making clay milkweed and wild flower seed balls. This past year alone, she led efforts to make, then distribute over 10,000 milkweed seed balls to bike riders in the RAGBRI ride across Iowa. Bike riders then throw out the seed balls as they see appropriate un-mowed locations across the state. She has done this for the past four years with great success, all with her own time and expense. Nancy travels to the Monarch wintering grounds in Mexico to establish connections with area residents, especially children. She co-authored a children's book about the Monarchs that is available in both English and Spanish. The first printing was shared for free with local and Mexican children. She then led the children in rewriting the book, so that it becomes "their" book. Her book and demonstration will be featured at both Omaha and Sarpy County Earth Day. She will be traveling to Michigan again to attend a 3-day workshop for pollinators. Nancy created and cares for butterfly gardens at Two Springs elementary school, the Bellevue Veterans home, Bellevue library, and city parks, in addition to her own expansive yard garden. Each Arbor Day for at least 7 years, Nancy participates in the tree planting educational program performed at 3 local schools with students. She has also worked annually with the Tree Board for 8 years to plant over 1,000 public trees. During the 2011 and 2019 flooding, she has been an active volunteer sandbag filler. Beyond Nancy's leadership on the Green Bellevue Board for 6 years, she also serves on the board of Prairie Pines in Iowa. She conducts nature activities including the annual music festival, tree program, children's camps, and the Run for the Pines, fun run. The Friend of the Environment nominations are always very difficult for the Earth Day committee to select from. Nancy was nominated not once but twice, and here contributions were determined to be very deserving of this award. Remember to spring forward for Daylight Saving Time! Did you know that one of the largest retrofit rain gardens in Nebraska is located right here in Bellevue? Spring ahead with Green Bellevue and learn about the rain gardens and new pollinator habitat installed by Douglas/Sarpy County Master Gardeners at the Eastern Nebraska Veterans' Home (ENVH). Hear how these gardens serve to educate the public and provide veterans an opportunity to grow (and eat) vegetables. Take away best practices in gardening, information about rain gardens in your own yard, how to provide habitat for butterflies and all pollinating insects, and explore occasions to share the progress with the community. Following this program, you are invited to join in an interactive Q&A session. Green Bellevue meetings are free and open to the public, so invite your friends! Visit www.greenbellevue.org for more information. 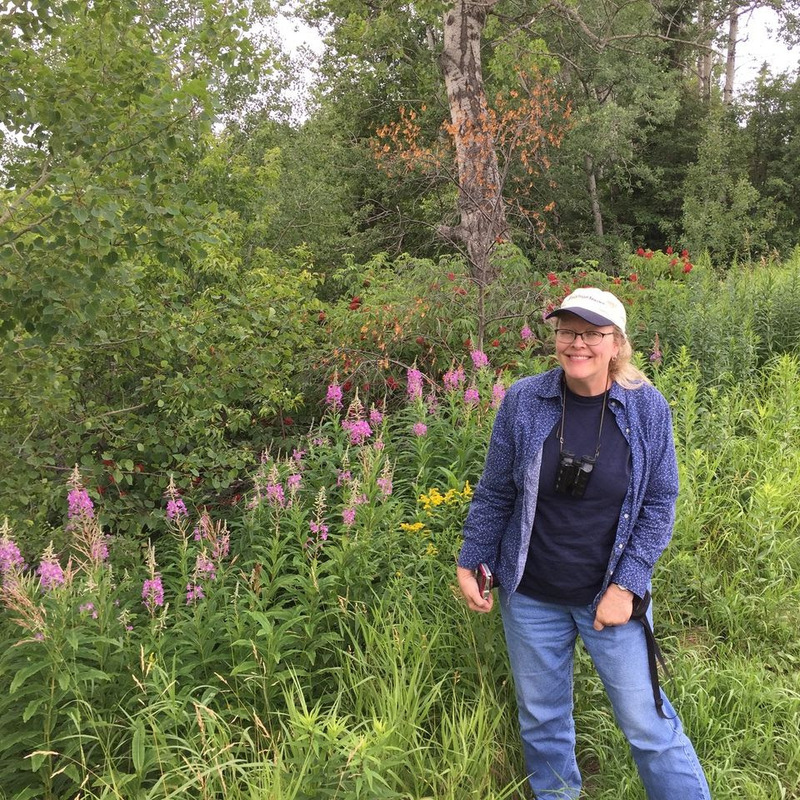 Lisa Swanson has been act ively involved in environmental issues and projects for more than 40 years. While building a career in business and finance, her heart remained in the natural world. Through the years, she always found time to volunteer for nature, studying and asking questions about the natural world. Lisa has planted trees and gardens, guided nature walks, escorted tour and birding groups, and just shown up with tools and gloves where needed. In 2009, Lisa joined Green Bellevue’s first board, serving two terms, and played an active role in many projects. She joined the Bellevue Tree Board in 2010. She helped this group with the urban woods survey, led Arbor Day celebrations, and created a special tree pledge for children. Lisa played a pivotal role in Bellevue’s receipt of the Greener Nebraska Towns Grant and other tree-planting grants. She has been invited to give presentations to school and youth groups on wildlife habitat. The Nebraska Statewide Arboretum and the Nebraska Wildlife Federation were partners in Lisa’s public workshop on creating and enhancing habitat in your own yard. Introducing others to the natural world and investigating the things you may find or see together has always sparked interest in Lisa. Lisa continues to share her enthusiasm for nature with others, becoming a Master Gardener with University of Nebraska Extension in 2008. She is a part of the garden team at the Henry Doorly Zoo and the Eastern Nebraska Veterans Home. Lisa often laughs about the most valuable asset of a volunteer organization being “hearts of gold and elbow grease”. Today, she is most fascinated by the research that proves what she’s always known: green space can revitalize us—-physically, psychologically, and socially. In other words: Nature is good for us! The rain garden project at ENVH was initiated in the winter of 2010. Once the need for stormwater remediation was identified, Green Bellevue took the lead. Volunteers sought and received more then $120,000 in grants, funding the largest series of rain gardens, installed as a retrofit, in the state of Nebraska. The rain gardens serve to slow, capture, filter and release more than 4 million gallons of storm water each year. When properly designed and tended, gardens are such wonderful problem-solvers; let’s not keep that secret! ENVH has 117 residents or members,160 staff, and 27,000 visitors per year. Guests, members and staff all enjoy the lovely grounds and gardens. In 2017, the Master Gardeners of UNL Extension took over a part of rain gardens to be featured as educational demonstration gardens. These volunteers work every week, April-October. The crew of seven worked more than 300 hours last year. There is also a fenced (deer-proof) vegetable garden, sporting raised beds and an accessible area for all who wish to putter in the garden. Those beds are the result of an extensive Eagle Scout project. Green Bellevue, Bellevue Altrusa and the Bellevue Garden Club have all generously donated to support these various projects. 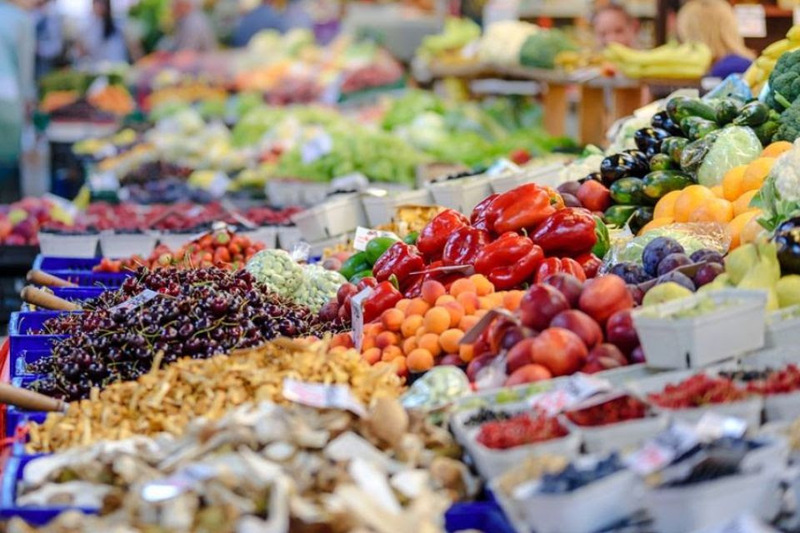 reduction and the food recovery hierarchy. 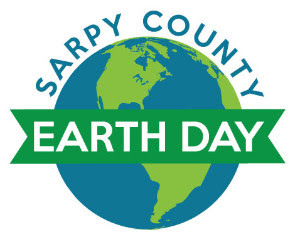 Members of Green Bellevue and Green Gretna are planning Sarpy County's 10th annual Earth Day celebration in Bellevue (the 6th year as "Sarpy County" Earth Day), scheduled for April 28, 2019 from 12-4pm at the BPS Lied Activity Center! Come see a visual recap of last year's Earth Day events and work together to form this year's celebration. The Earth Day Planning Committee has completed some early groundwork and we are ready to meet with the public for a facilitated planning session, including breakout groups. We are seeking a core number of volunteer leaders who will oversee the major parts of the event that create the whole. This group will meet via conference call to keep track of progress. In addition, everyone is invited to help with the preparations! Earth Day volunteers, exhibitors, sponsors and attendees are all welcome! We want to hear your ideas on how to make this event even better! If you can't make the meeting, share your thoughts with us by emailing Brittany Dabestani at brittanyd@greenbellevue.org. to showcase your company or organization's green practices! Contact Ruth Richter at ruthr@greenbellevue.org. Contact Brittany Dabestani at brittanyd@greenbellevue.org. On November 13, 2018, Bellevue Mayor Rita Sanders awarded Green Bellevue the Jewel of Bellevue award. The award, the highest civic award the City bestows, recognized Green Bellevue's partnership with residents, schools and businesses on efforts that help the environment and the community. We are so proud of the City of Bellevue for starting and sustaining a strong effort to improve our environment for future generations!! Go Green Bellevue!!! Green Bellevue's November 11 Program! Join Green Bellevue for its last program of 2018 to hear Thomas M. Belford of John A. Gentleman Mortuary explain Green Burial options. Learn about the Green Burial and Scatter Garden sections of the Bellevue Cemetery, and discover information about the Nebraska Anatomical Board end-of-life options. Following this program, you are invited to join in an interactive Q&A session. Green Bellevue meetings are free and open to the public, so invite your friends! Please note that even though the Bellevue Public Library is closed this day, the meeting room will still be open! Bellevue home featured on National Solar Tour! On October 6, 2018, Green Bellevue President Don Preister opened up his home to the public as part of a national tour organized by the American Solar Energy Society Don's home was one of six solar arrays on the tour, an event locally sponsored by Green Bellevue, Nebraskans for Solar and the Nebraska Chapter Sierra Club. "Going solar: Bellevue councilman’s home gains national attention"
More information about the event can be found at sierraclub.org/nebraska/national-solar-tour. September 12, 2018 – Green Bellevue announced today that 15 new recycling containers have been delivered to the two Bellevue Public School High Schools. They will be used during sporting and other events. The green, co-branded recycling containers will be placed next to all trash containers to collect the high volume of plastic bottles that are purchased and discarded at the events. This initial contribution is expected to be the beginning of future improvements that will lower landfill waste from Bellevue Public Schools. The purchase of recycling bins has been a goal of the Green Bellevue Board of Directors for several years. One of the founding members, Ruth Richter, said she has been aware of the need for recycling collection containers at the schools since her two high school-aged boys started elementary school. “Providing recycling collection containers not only will lower the amount of recyclable waste that is going to the landfill, but it will also serve to students, showing that recycling is easy and better on the environment,” said Ruth Richter. “Green Bellevue has been applying for grants and earmarking funds raised from the annual Sarpy Earth Day event for about four years,” Richter continued. It wasn’t until recent graduates Lilly West and Kat Woerner joined the Board as student representatives (Kat attended West and started as a junior and Lilly joined the Board last year as a senior from East) that the project took a top priority. Each student had been advocating for more recycling in their schools and were determined to ensure that the project was in process before they graduated. Andy Severson, the newly hired BPS District Supervisor of Custodial Services, also played a key role in getting the recycling project underway. “Andy has been great to work with, he really gets the need to step up the recycling collection and is ready to ensure that the carts will be well-used,” says Richter. The possibility of new carts was so well received that the group met on August 15th to discuss how many were needed for successful collection of recycling from the sports events, and to brainstorm on a successful implementation and oversight plan, and Green Bellevue received the go-ahead to place the order on August 22nd. The bins will be moved around at each school based on the sports calendar. Green Bellevue and Bellevue Public Schools are considering starting an application system for the schools to request containers, along with their plan to use the containers, to ensure there are enough to increase the success of the program. Andy Severson will be sitting on the Green Bellevue board in the coming year as will Gillian Cromwell from Hillside Solutions – Green Bellevue plans to next address composting in the schools.